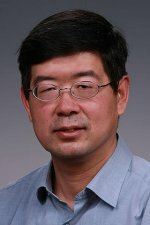 Dr. Wenning Liu, a research scientist at the Pacific Northwest National Laboratory, has been appointed to the Editorial Board of Advances in OptoElectronics as an associate editor. Liu's appointment begins November 2008. Advances in OptoElectronics is a peer-reviewed open access journal aimed at accelerating worldwide recognition, dissemination, and utilization of the most recent findings and achievements in optoelectronics. Liu Joined PNNL in 2005 and has more than 18 years of research experience in the fields of computational material, computational mechanics, and mathematics with related expertise in: finite element analysis, fatigue/failure/fracture tests and analyses; thermal-mechanical design; dynamic simulation of high speed impact; and CAD/CAM/CFD design and modeling. In the area of optoelectronics, Liu's research is focused on the reliability analysis, and design of optoelectronic packaging, including failure analysis of optoelectronic packaging, development of automatic alignment algorithm of optoelectronic packaging, and stress analysis of various IC packaging. Liu has a doctorate from the Harbin Institute of Technology's School of Aerospace Engineering in Harbin, China.